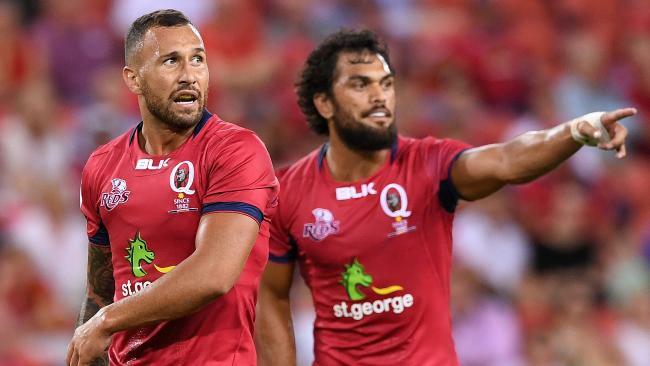 QUADE Cooper and Karmichael Hunt will chart their first steps back from the representative wilderness together after the Queensland Reds outcasts were named in the Brisbane City squad for the National Rugby Championship kick-off next month. Former Wallabies prop James Slipper will continue his rehabilitation from health issues and his two-month stand-down period for testing positive to cocaine in the Queensland Country squad. 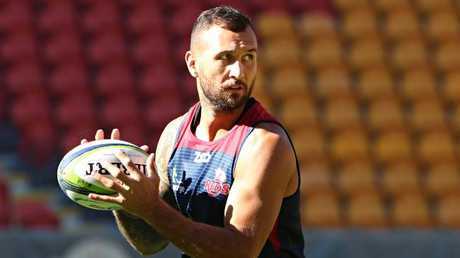 Selection gives utility back Hunt a shot at pushing for a return to the Wallabies squad down the track should he build on the solid form he has shown in four comeback matches at fullback and centre for his Brisbane club Souths. Wallabies coach Michael Cheika seems open minded on the drug-tainted Hunt's future, whereas he looked to make a definitive call on the 70-Test Cooper when he jettisoned him from flyhalf plans a year ago by cutting him from the 2017 Rugby Championship squad. Former Wallaby Cooper's most immediate focus is with Souths as he tries to steer them through Sunday's knockout semi-final against Easts at Ballymore in Premier Rugby. He has done a mighty job with his commitment to club rugby and his Magpies' teammates this season and thoroughly deserves the NRC call-up that can show clubs worldwide the skills he has. 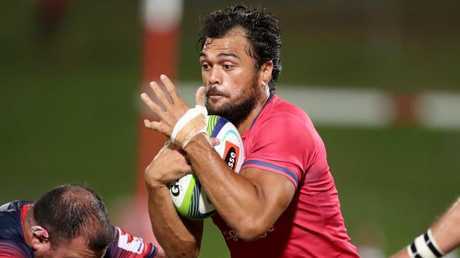 Karmichael Hunt makes a charge for the Queensland Reds. Picture: Darren England. Hunt last month explained how grateful he was just to be back playing rugby with Souths after seven months out of the game following his arrest last December on a drug charge that was later dropped because of lack of evidence. "Everyone who knows me understands I'm not perfect but I do my best to give everything to family, friends and football," said Hunt, who has not played the six games required to be eligible for the club finals. "I do make mistakes and I have let people down and heavy-heartedly that really effects me. "I can't thank Souths, the president Tony (Shepley) and the boys at the club enough for the chance (at a comeback)." The 36-strong Brisbane City squad features a mix of 14 professional players from the Reds squad and 22 from Premier Rugby. Mick Heenan is back as head coach while Rod Seib will take over at the helm of defending champions Queensland Country with Brad Thorn now entrenched as Reds boss. The Country squad includes 19 Reds squad members plus exciting young talents including former Australian Schoolboy back-rowers Tom Kibble (GPS) and Harry Wilson (Brothers). Eleven players from the 36-man squad trace their roots to country Queensland, including Harry Hoopert (Jondaryn), Duncan Paia'aua (Rockhampton) and Tate McDermott (Sunshine Coast). "We have a lot of returning players from both the Reds and club Rugby, and a particularly exciting group of young players who performed well last year with many going on to represent the Reds in 2018," Seib said. 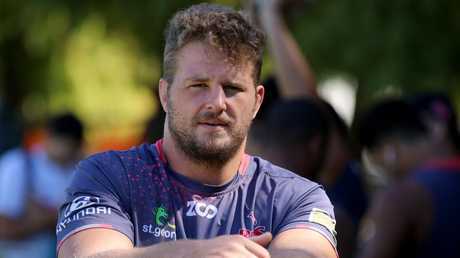 "I'm looking forward to seeing how they've improved with a season of Super Rugby under their belts. "Considering we're also taking matches to regions further north in Townsville and Mackay, it's going to be an exciting year for the squad." 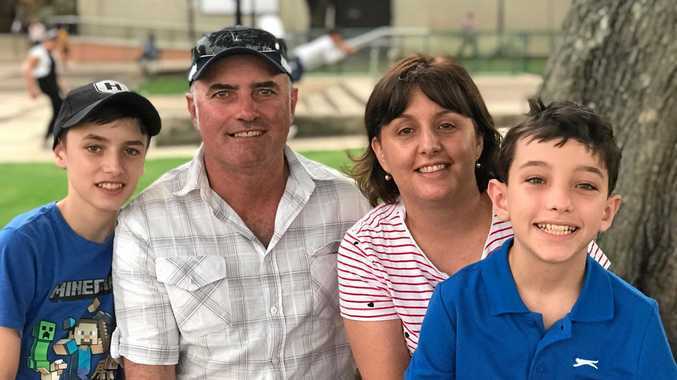 City will take more games to the grassroots than ever before, with home games being hosted by Brisbane clubs Norths, Wests and Easts starting with the September 2 clash at 3pm against the Western Force at Courtney Oval. Country's season begins with a grand final rematch against the Canberra Vikings at Viking Park in Canberra on Saturday, September 1, kicking off at 5pm. James Slipper has been named in the Queensland Country squad. Feao Fotuaika, Josh Nasser, JP Smith, Ruan Smith, Misioka Timotea, Brandon Paenga-Amosa, Andrew Ready, Moli Sooaemalelagi, Nathan Den Hoedt, Jeremiah Lynch, Zach Moimoi, Lukhan Tui, Jale Vakaloloma, Matt Gicquel, Michael Gunn, Reece Hewat, Adam Korczyk, Fraser McReight, Pat Morrey, Tuaina Tualima, Dillon Wihongi, Scott Gale, Moses Sorovi, Quade Cooper, James Dalgleish, Con Foley, Matt Gordon, Samu Kerevi, Isaac Lucas, Tautalatasi Tasi, Lawson Creighton, Alex Gibbon, Karmichael Hunt, Lachlan Maranta, Jayden Ngamanu, Emori Waqavulagi. Richie Asiata, Taniela Tupou, Kirwan Sanday, Fred Burke, Harry Hoopert, Jake Simeon, James Slipper, Alex Casey, Efi Ma'afu, Matt Faessler, Angus Blyth, Josh Fenner, Rob Puli'uvea, Izack Rodda, Harry Hockings, Angus Scott-Young, Liam Wright, Caleb Timu, Tai Ford, Tom Kibble, Harry Wilson, Sunia Finefeuiaki, James Tuttle, Tate McDermott, Hamish Stewart, Teti Tela, Duncan Paia'aua, Chris Feauai-Sautia, Tony Hunt, Daniel Boardman, Izaia Perese, Jordy Petaia, Jock Campbell, Filipo Daugunu, Joey Fittock, Patrick James.